Traditional hockey statistics sites don't give you a full picture of an NHL team's goaltending situation. With games dressed as a backup added, these are the first comprehensive goalie season statistics of who dressed for any given team during the 2015/2016 season. 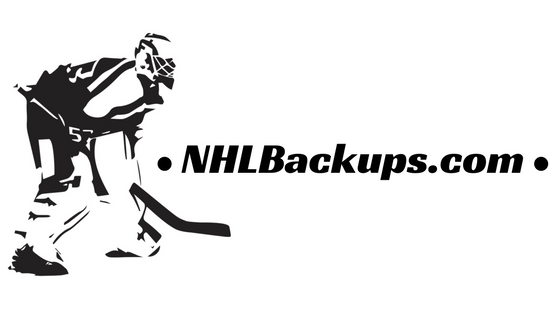 Total Games Played is a stat unique to NHLbackups.com, combining games played and games as a backup to give a total of how many NHL games a goalie participated in during the season. -This list replaced the old. I apologize for the formatting errors that occurred in the previously used template. *Oct. 10, Oct. 31, Dec. 8, Dec. 15, Dec. 26, Jan. 2, Jan. 21 & Feb. 19 both goalies dressed. *Nov. 8, Dec. 22, Dec. 29, Feb. 18, Mar. 6, Mar. 22, Mar. 26, Mar. 29 & Apr. 7 both goalies dressed. *May 13 three goalies dressed. Ben Bishop was hurt early in the game and replaced by Vasilevskiy. Gudlevskis dressed and joined the team from mid-second period on. *Dec. 20 Jacob Markstrom only appeared in the shootout, facing two shooters after Miller was injured on the first shot. It was official recorded by the NHL as a game played for Markstrom.